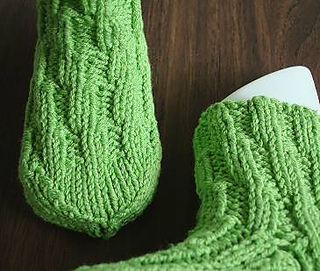 Bamboozle is a lovely SOFT bamboo-cotton blend with just a wee bit of elastic stretch, and as a worsted+ wt yarn, it’s a very fast knit. 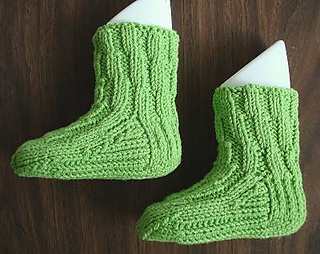 One skein will make some great socks for that toddler in your heart. Tip: due to bamboo-cotton-elastic structure Bamboozle’s plys separate easily - tie a knot in the end of your yarn to prevent un-plying. Bamboozle is a little splitty, but once you start knitting you’ll get used to picking up the sts correctly.